Also acceptable is the first anime to have body pillows (or dakimakura) as merchandise. 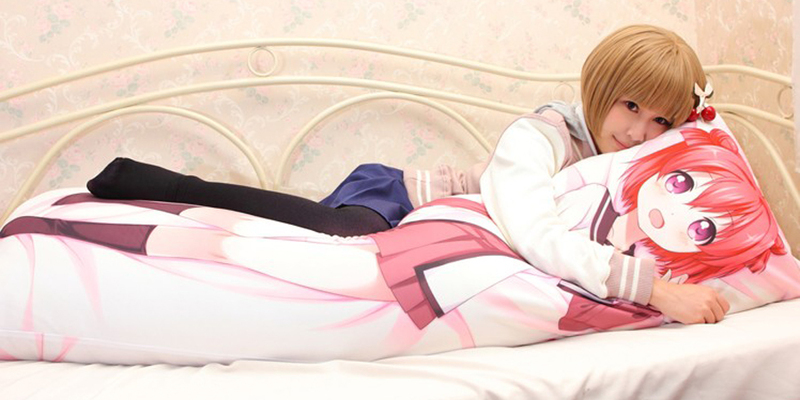 Anime body pillows are a big part of anime otaku culture - but this can't have always been the case. I doubt there were body pillows of the characters back in the 60s. When did body pillows start being sold as merchandise for anime and who was the character to get the first pillowification? I'm interested in officially licensed body pillows only - and specifically body pillows as opposed to normal pillows (if the line is vague though, that's fine). I can't find a specific character, but I can give you a company! According to this Wikipedia page, the company Cospa was one of the first companies to begin printing anime characters on Dakimakura. They started in the late 90's, however it's notable that non-anime Dakimakura have been around for a long time, in the form of what the Wikipedia page calls "security objects" (some object providing psychological comfort, especially in "unusual situations"). However I cannot find any pictures of cospa's early pillows. That said I feel that the Wikipedia source on the country is probably reliable, because it cites Patrick Galbraith's "Insider's Guide to the Subculture of Cool Japan" which, along with his book "The Moé Manifesto" are great sources for answers to any other questions you might have similar to this one.